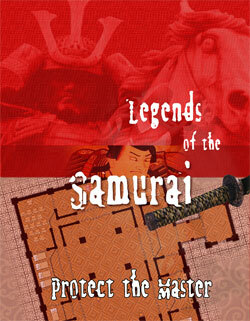 Protect the Master is a short adventure for RPGObjects' new historical fantasy Japanese setting, Legends of the Samurai and SkeletonKey Games' e-Adventure Tiles: Oriental Sword School. In this adventure the PCs are called upon to protect the dojo of a revered Kenjutsu sensei and the powerful sword he and his students have sworn to protect. This adventure makes an excellent starting point for a Legends of the Samurai campaign, providing the game master with a potential home base for his players to adventure from (the dojo) as well as a potential contact/mentor (the master himself). The adventure itself, while relatively straightforward, could serve as a springboard to many future adventures depending on the resolution of the adventure.